Printable Wedding Invitation "Fall in Love", Brown. DIY Inivite Template With Falling Levaes. Editable Text, MS Word. Instant Download. 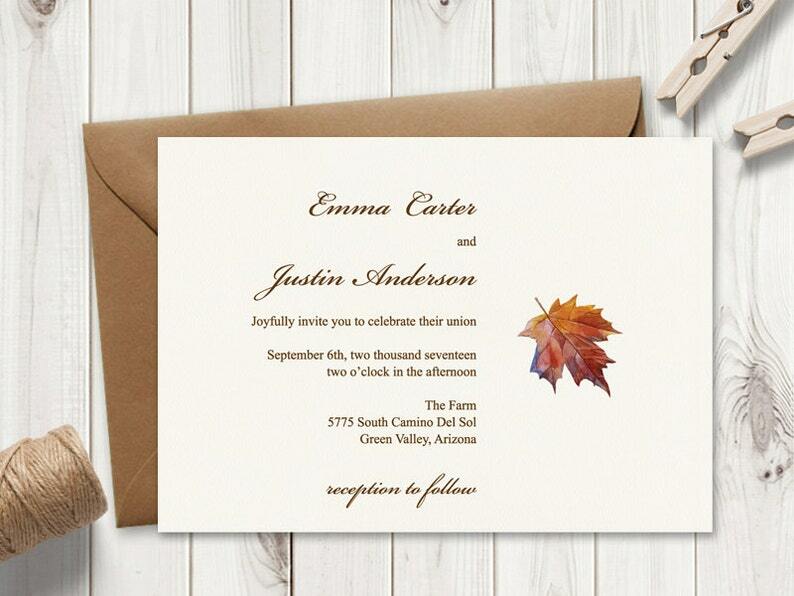 Autumn wedding invitation template "Fall in Love" with watercolor falling leaves. DIY printable wedding invite - editable text in MS Word. Affordable and easy to use - just download the template instantly after purchase and change your details in Microsoft Word. Print as many as you need and cut to trim marks. *The template has white background. For the look on the pictures print on ivory watercolor card stock. Contact me for more coordinating templates. Elegant Wedding Invitation Template "Classic Ceremony", Burgundy Red. Simple DIY Printable Invite. Editable Text MS Word, Instant Download. Boho Wedding Invitation Template "Bohemian Love". DIY Printable Invite with Watercolor Flowers. Editable Text, MS Word. Instant Download. Simple Wedding Invitation Template "Classic Ceremony", Black. Elegant DIY Printable Invite. Editable Text MS Word, Instant Download. Watercolor Wedding Invitation Template "Flower Fantasy". DIY Printable Invite, Rustic Style. Editable Text - MS Word. Instant Download. Wedding Invitation Template "Perfect Match", Gold. Simple & Elegant DIY Printable Invite. Editable Text MS Word, Instant Download. Wedding Invitation Template "Perfect Match", Silver. Simple & Elegant DIY Printable Invite. Editable Text MS Word, Instant Download. Fall Wedding Invitation Template "Skeleton Leaves", Purple & Green. DIY Printable Invites. Editable Text, MS Word. Instant Download. Wedding Fan Program "Fall in Love", Brown. DIY Printable Program Template with Watercolor Leaf. Editable Text - MS Word, Instant Download. 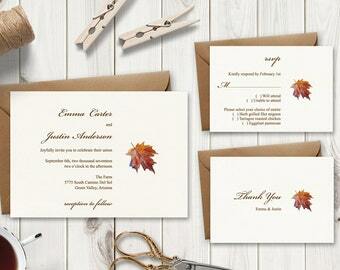 Wedding Invitation Set "Fall In Love", Brown. DIY Watercolor Printable Templates - Invite, RSVP Card & Thank You Note. Instant Download. Wedding Thank You Card Template "Fall In Love", Brown. DIY Printable Fall Inserts. Watercolor Thank You Note. MS Word. Instant Download.